Every one associated with a manufacturing or project based organization focused on meeting customer requirements loves an easy but powerful graphical display of all associated data in ERP. It is true for the resource planner, the top management, sales force and also the supply chain manager. A world class ERP framework, Microsoft Dynamics NAV with Planner One add-on. Our experienced and senior consultants will offer their assistance to articulate requirement, scope the solution and advice on all that it takes to get this solution going for you. See a YouTube video to get a feel or ask us for an online demo. Click Here..
Semi-automated corrugated box manufacturers aiming at growth. he packaging industry, especially in the corrugated boxes is rising up from being a cottage industry to an organized, large scale, automated set-up to meet the needs of a variety of industries. It has to meet the demands for a much better product and services coupled with pressure on prices and conformance to stringent environmental and safety norms. A typical unit does use information technology tools like Emails, excel sheets, accounting software, SMSs and endless phone calls etc. to manage the affairs, however for most of them an integrated software solution is a thought on the horizon, needed very badly but yet to be implemented. A specialized software solution created on a world class business suite, Microsoft Dynamics Nav. Totally integrated, scalable and reliable. Suited and crafted for small and medium businesses and maintainable. Companies involved in producing leather from raw hide, wet blue or white crust for domestic as well as export customers. Leather business has highly de-manding customers at one end and a totally disorganized sub-contracting and vendor eco sys-tem in the country at the other end. Businesses keep fighting for their breath trying to get the two ends meet. Emails, excel sheets, accounting software, SMSs and endless phone calls, conferences and visits to meet customers and pro-spects is the order of the day. The businesses cry for an inte-grated system which will help them get a hold on information, which in turn can help them serve their customers to the exactitude demanded and also give them some peace of mind. A specialized Leather tannery specific software solution created on a world class business suite, Microsoft Dynamics Nav. Totally integrated, scalable, reliable and customizable. Suited and crafted for small and medium business-es, affordable and maintainable. Industry : Renewable Energy Development Agencies in the government sector. REDAs (Renewable energy development Agencies) are set up in each state in India to promote the use of alternative and renewable energies. The state agencies get support for projects from state and union government primarily to procure renewable energy devices and sell them at subsidized rates to beneficiaries directly or through the district collectorates. 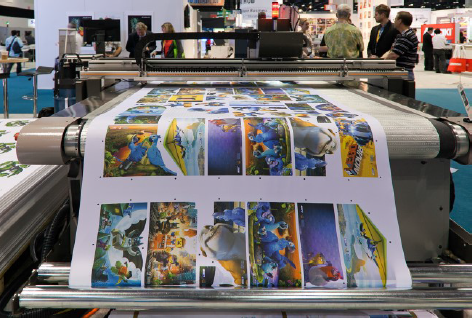 A typical organization has prepress, printing and post press to give and end to end solution to their customers. An accounting software is mostly in use with esti-mation, inventory, manufacturing, human re-sources and payroll managed either by different software applications or handled manually in physical registers and electronic spreadsheets. Using a disparate system poses a number of is-sues to the organization. The reliable data in real time is not available, reconciliation of information from one information system with another is a resources draining exercise. The controls in the information systems are either not possible, or not existing and hence it takes immense amount of personal and high level supervision to exercise control. The costs are high, wastages more than normal, responsiveness of the organization to demands from customers is suboptimal and net result of all this is an adverse impact on the bottom-line. A specialized software solution created for print-ing companies on a world class business suite, Microsoft Dynamics Nav. Totally integrated, scala-ble and reliable. Suited and crafted for medium businesses. Easily learnt and easily managed. Companies exporting garments, apparels, accessories from India. There are lots of people who need space and thousands of companies, small and big have rolled up their sleeves to meet the need and en-cash the opportunity Hundreds of companies in tier 2 and tier 3 cities who are grappling with the challenges of managing multiple business interfaces along with rising expectation and need to continuously improve their offerings to differentiate themselves in the mushrooming growth of realtors. Most of the realtors manage with either manual systems or at best some accounting package and they often wonder why they still struggle to have adequate control on their business. A specialized garment specific software solution created on a world class business suite, Microsoft Dynamics Nav. Totally integrated, scalable, reliable and customization. Suited and crafted for small and medium businesses, affordable and maintainable.Garment Export Samadhan addresses the unique needs of the industry by giving a full control on the operations of a typical export company from the time he submits a quote and sample to getting a satisfied and happy customer. While the software is being used for the day to day working, Microsoft Dynamics Nav as a reliable and integrated framework to manage the inventory, purchase, sales, customer relationships, collectible control and meet the statutory requirements of the business.